Below you fill find all funeral homes and cemeteries in or near Owensville. Suburbs of Owensville: Bem, Brush Creek, Drake, Old Woollam. 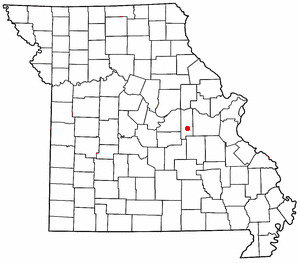 Owensville is also known as: Gasconade County / Owensville city. Their current mayor is Mayor John Kamler. Zip codes in the city: 65066. For communities with a similar name, see Owensville (disambiguation).Owensville is a city in Gasconade County, Missouri, United States. The population was 2,676 at the 2010 census. It was reported by Bell Banner on December 19th, 2018 that Arminta Jane Branson perished in Owensville, Missouri. Branson was 85 years old. Send flowers to share your condolences and honor Arminta Jane's life. It was noted by The Maries County Gazette on November 28th, 2018 that Helen Berniece Ruffner (Decker) passed away in Owensville, Missouri. Ms. Ruffner was 89 years old and was born in Kansas City, KS. Send flowers to express your sympathy and honor Helen Berniece's life. It was written by Bell Banner on October 24th, 2018 that Lorene Margaret Withouse (Shockley) passed away in Owensville, Missouri. Ms. Withouse was 95 years old. Send flowers to express your sympathy and honor Lorene Margaret's life. It was reported by Bell Banner on October 17th, 2018 that Veronica Agatha Jett (Becker) died in Owensville, Missouri. Ms. Jett was 84 years old. Send flowers to express your sorrow and honor Veronica Agatha's life. It was written by Bell Banner on September 5th, 2018 that Donna Newman (Byrd) perished in Owensville, Missouri. Ms. Newman was 76 years old. Send flowers to express your sympathy and honor Donna's life. It was reported by Unterrified Democrat on August 15th, 2018 that Maxine Lillian Schaefferkoetter (Gibson) passed on in Owensville, Missouri. Ms. Schaefferkoetter was 89 years old. Send flowers to share your condolences and honor Maxine Lillian's life. It was written by Bell Banner on July 25th, 2018 that Ruby Elnora Redden (Butler) passed on in Owensville, Missouri. Ms. Redden was 96 years old. Send flowers to express your sorrow and honor Ruby Elnora's life. It was revealed by Bell Banner on July 4th, 2018 that Duane Eugehe Caldwell died in Owensville, Missouri. Caldwell was 89 years old. Send flowers to express your sorrow and honor Duane Eugehe's life. It was revealed by Bell Banner on June 6th, 2018 that Kerin E Redden (Donnell) passed away in Owensville, Missouri. Ms. Redden was 81 years old. Send flowers to share your condolences and honor Kerin E's life. It was noted by Unterrified Democrat on June 6th, 2018 that Ramona Katherine Schaeperkoetter (Koenig) died in Owensville, Missouri. Ms. Schaeperkoetter was 95 years old. Send flowers to share your condolences and honor Ramona Katherine's life. 'For communities with a similar name, see Owensville.'. . . . . The official website for the city of Owensville is http://www.cityofowensville.com/index.php. OWENSVILLE, MO. The Borgia girls volleyball team rode an emotional roller coaster Tuesday. It started with a somber off day from school as the girls attended the funeral of classmate Ella Neier, who was killed in a car accident late Friday night. Listing all funeral homes in Owensville, Missouri so you can easily send flowers to any location (same day delivery) or find any funeral service. Copeland, Rick - Gottenstroeter Funeral Home, Owensville, MO : Reviews and maps - Yahoo! Local, 573.437.2155. Get Ratings, Reviews, Photos and more on Yahoo! Local. We work with local florists and flower shops to offer same day delivery. You will find budget sympathy flowers in Owensville here. Our funeral flowers are cheap in price but not in value.